Hey fraaaaands did you watch that sweet video above? I'm pretty sure we've watched it 100 times by now. The last few weekends we have made it a point to get away to the mountains and just soak each other up. That little family video is something I hope to make many more of. 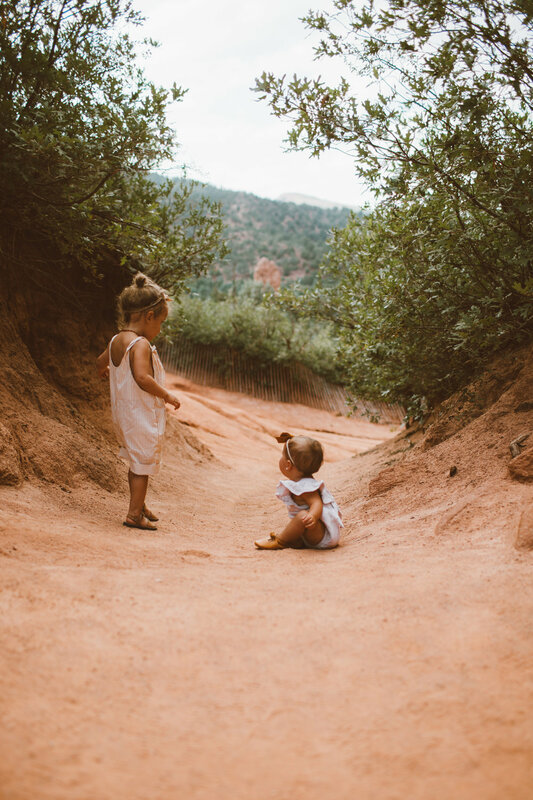 We had a photoshoot in Garden of the Gods a few weeks ago and I realized its been forever since we've been. So we loaded up the girls one evening and walked around as the sun was getting low. It was pretty dreamy and now I want to go every week because how can something so beautiful be 10 minutes down the street from us? This past Weekend Austin and I got to sneak away to the hot springs and have an entire day of uninterrupted conversation! It was the best and so fulfilling.